JAKARTA — Survivors were leaving the disaster-hit region of Central Sulawesi on Thursday out of frustration with what they said was the slow provision of assistance from the Indonesian government and aid agencies in the aftermath of a magnitude 7.5 earthquake and tsunami. 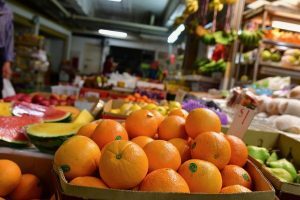 Widely reported shortages of food, water, gasoline and other necessities have led to looting of damaged shops and supermarkets in Palu, the provincial capital of 380,000 residents near the quake’s epicenter. Though a few positive signs were emerging in the shattered city — with access to water restored for some residents — relief remained slow to arrive on damaged roads and ground that had churned into mud. Residents said there isn’t enough food and water for the thousands of injured and 70,000 left homeless. “The last I heard, my brother was picking up my mother and father in Palu to evacuate to another district,” said Imade Boby, a Jakarta resident whose parents and relatives live in Palu. He said the family hoped to travel by boat or by road to an area of Parigi Moutong, north of Palu, that was less affected by the disaster. JAKARTA — Aid workers described scenes of destruction and desperation Monday in areas of central Sulawesi they reached for the first time since a magnitude 7.5 earthquake and tsunami leveled parts of the Indonesian island, blocked roads and turned solid ground into mud. Just outside the hard-hit town of Palu, the regional capital and hub of the relief effort, volunteers retrieved the bodies of 34 students from a Bible school in the town of Sigi Biromaru, said Aulia Arriani, head of communications at the Indonesian Red Cross. The Red Cross team had “a hard time to evacuate the bodies as they had to walk through mud for one-and-a-half hours,” Aulia said. At least 1,203 people were killed after Friday’s quake, according to an unofficial count by volunteers, nongovernmental groups and hospitals in Palu. The tremor unleashed a tsunami as high as 20 feet crashing into the coastline, destroying roads and bridges, downing cellphone towers and washing away thousands of houses. JAKARTA — Anisah Firdaus Bandu’s mother called her in tears from her hometown of Palu on Friday evening when a magnitude 7.5 earthquake jolted the island of Sulawesi in eastern Indonesia. Since then, with cellphone towers and other infrastructure damaged by the quake and an ensuing tsunami, Anisah hasn’t heard from her parents, who are among thousands believed unaccounted for in the disaster that has left at least 800 people dead, officials said Sunday. “My mother cried a lot, she tried to pick up my father at his office,” said Anisah, a civil servant in Jakarta, the capital. “I really tried hard to reach them till now but I can’t.” As anxious relatives tried to place phone calls in vain and clamored to board military or relief flights to Palu, a town of some 380,000 people, emergency crews struggled to reach the worst affected areas, including a string of coastal towns that remained cut off by washed-out roads and downed communication lines. JAKARTA — Indonesian officials said 384 people were killed and many more remained unaccounted for after an earthquake of magnitude 7.5 on Friday evening triggered a sundown tsunami measuring between five and ten feet high that washed over Palu and Donggala, two coastal cities in Sulawesi in the east of the Indonesian archipelago. 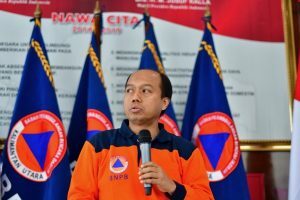 Earlier on Saturday Sutopo Nugroho, the disaster mitigation agency spokesman, told media in capital Jakarta that the deaths had been tallied from four hospitals in Palu, population c.a 380,000, and that there were likely to be “many [more] victims,” possibly including hundreds of people who were attending a beach festival when the waves hit. Among the dead was Anthonius Gunawan Agung, a young air traffic controller who died after leaping from a damaged airport navigation tower in Palu, after ensuring a commercial flight took off before the disaster hit. 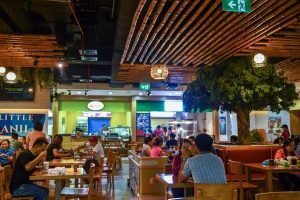 DUBAI — The food stalls ringing the interior of Little Manila in Dubai make for a nostalgic evocation of the real thing — and serve as a home away from home for some of the estimated 750,000 Filipinos in the United Arab Emirates. Across Dubai there are dozens of similarly themed restaurants and shops, sometimes even entire streets, catering to expatriate worker communities from India, Indonesia, Pakistan, Sri Lanka, Thailand and several other Asian countries. Much of the talk in these establishments now centers on the thousands of stranded workers who are availing of a temporary amnesty provided by the government to fly home after having any prospective punishments for visa infractions revoked. JAKARTA –The presidential election in Indonesia next year may see a reprise of the testy 2014 contest between President Joko Widodo and retired general Prabowo Subianto after both men registered their candidacies Friday. The incumbent, popularly known as Jokowi, selected a 75-year-old cleric as his running mate, a move designed to shore up his support from Islamists as he seeks a second five-year term leading the world’s most populous Muslim country. Jokowi is the early favorite to win the April election as a former political outsider who has spent his first term focusing on infrastructure projects. He is the first president from outside Indonesia’s political and military elite since the dictator Suharto resigned in 1998. JAKARTA – At 13.25 local time today a 6.2 magnitude aftershock hit Lombok, the island east of Bali in Indonesia that has suffered two stronger, deadly earthquakes in the past 2 weeks that have left hundreds dead and over 100,000 people homeless. An additional 26 fatalities were confirmed from Sunday’s temblor as relief teams were finally reaching some villages and mountainous areas that had been inaccessible due to landslides, collapsed bridges and other damage. But as emergency crews comb more of the eastern Indonesian resort island, the death toll “will continue to grow,” said Sutopo Purwo Nugroho, spokesman for the Indonesian Disaster Management Agency. 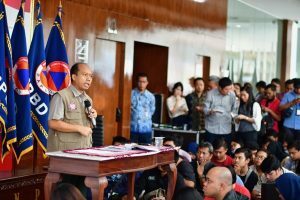 “There is a lot of damage,” Nugroho told a news conference in Jakarta, adding that another 1,500 people were injured and 155,000 were displaced from their homes.